When I travel, I love to visit historical sites. I find them to be full of beauty and interesting architecture. 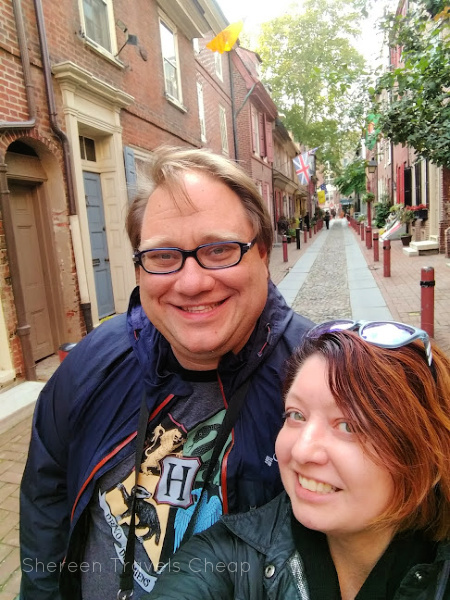 No place is that more true than in Philadelphia. 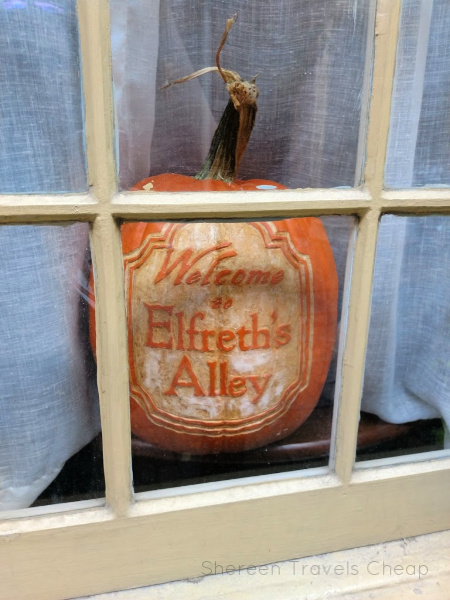 Everywhere you look there's something gorgeous to look at, and Elfreth's Alley was one of my favorites. 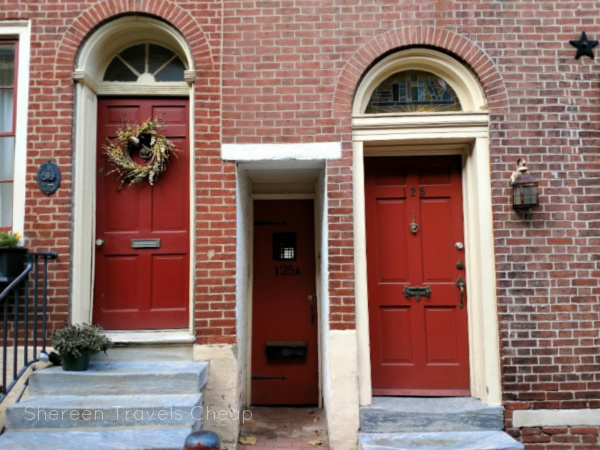 This is the nation's oldest residential street that has only been occupied by private citizens since it was built. 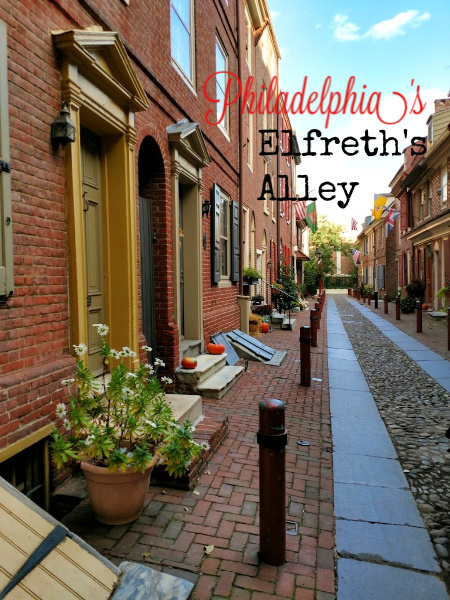 Elfreth's Alley was not included on the original plans for Philadelphia, but being the port city it was, artisan's and merchants bought up so much land close to the waterfront that overcrowding happened pretty quickly. 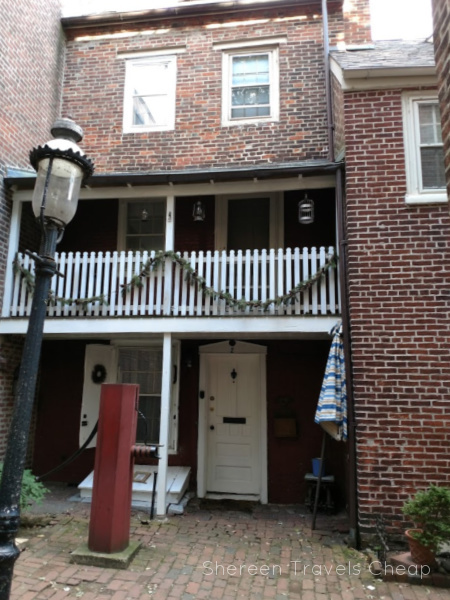 Two landowners decided to combine their properties to create Elfreth's Alley for residential housing and also a path for carts to use to get goods to and from the river. 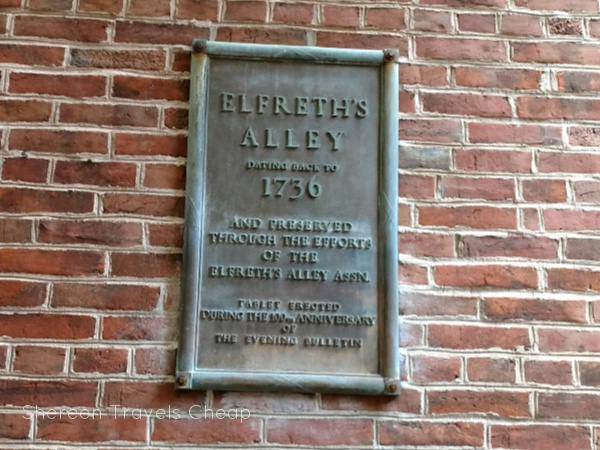 People have lived in Elfreth's Alley continuously since 1713. 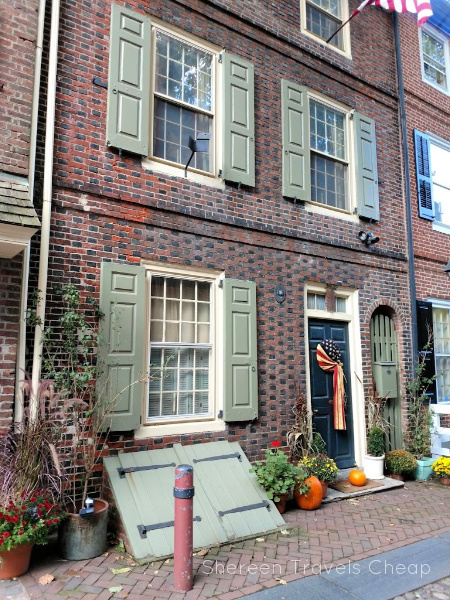 29 of the 32 homes are residential, 2 make up the Alley's museum, and the last hosts special events. 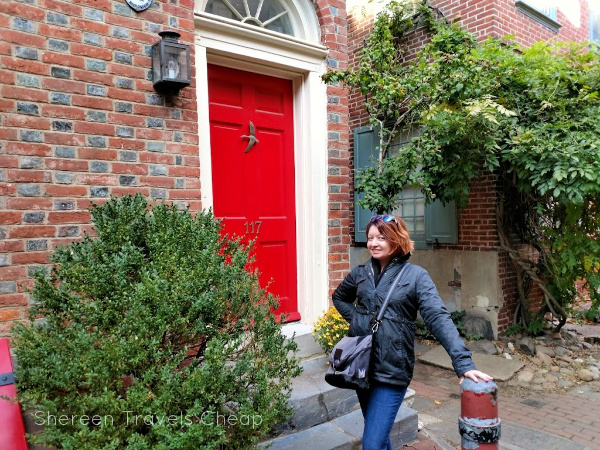 The sheer colors, brickwork and feel of the alley make it a place you want to just wander all day. If you want another taste of history, there's the original Olde City Coffee Cafe right around the corner. Yum! 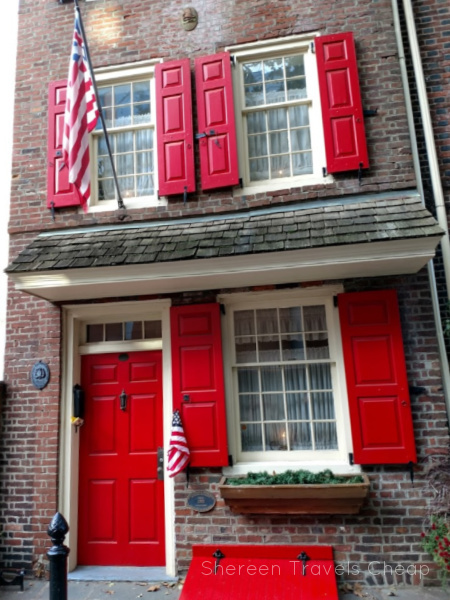 What's one of your favorite historical places where you live?